Governor Nelson Rockefeller commissioned Philip Johnson to design the New York State Pavilion for the 1964-1965 World’s Fair after Johnson received critical acclaim for his design of the New York State Theater at Lincoln Center. Johnson was originally commissioned to design only two structures for the pavilion site: the “Tent of Tomorrow,” which was to serve as a fashion theater (later changed to an art exhibition space), and the “Theaterama,” a circular theater to display 360-degree movies. While designing these two structures, Gov. Rockefeller decided that he wanted New York, the host state for the World’s Fair, to have the tallest building at the fair. Rockefeller convinced the State to fund the addition of three observation towers to the pavilion site to soar over the other structures. The New York State Pavilion was meant to stand out and illustrate the accomplishments of the State of New York as the host of the World’s Fair and as a center for arts, culture, and recreation. Upon its completion in 1964, New York Times architecture critic Ada Louise Huxtable described the pavilion as a "runaway success...a sophisticated frivolity...seriously and beautifully constructed. This is 'carnival' with class." Governor Nelson Rockefeller commissioned Philip Johnson to design the New York State Pavilion for the 1964-1965 World’s Fair after Johnson received critical acclaim for his design of the New York State Theater at Lincoln Center.Philip Johnson was originally commissioned to design only two structures for the pavilion site: the “Tent of Tomorrow,” which was to serve as a fashion theater, and the “Theaterama,” a circular theater to display 360-degree movies. While in the midst of designing these two structures, Governor Nelson Rockefeller decided that he wanted New York State, the host state for the World’s Fair, to have the tallest building at the fair. After a long debate between Governor Rockefeller and Robert Moses, the fair’s corporate president, who had set a height rule for the fair and was initially against making the New York State Pavilion the event’s tallest structure. Rockefeller convinced the State to fund the addition of three observation towers to the pavilion site to tower over the other structures. This added $2.5 million to the cost of the New York State Pavilion project.During the latter half of 1963, a decision was made to change the use of the Tent of Tomorrow. The original plan was to use the space as a fashion theater. However, plans changed during the design process and the Tent of Tomorrow was to be designed as an art exhibition space instead. The switch of use led to a change in design elements, and Philip Johnson had to incorporate air conditioning and a mezzanine into the structure in order to control the climate for the art.The New York State Pavilion was meant to stand out and illustrate the accomplishments of the State of New York as the host of the World’s Fair and as a center for arts, culture, and recreation. 1977: The Tent of Tomorrow’s roof was removed after several plastic panels blew off the structure and landed on the Grand Central Parkway. 1991-1993: Philip Johnson was appointed architect of the interior renovation for Theaterama, which is turned the Queens Theater in the Park. The new theater had a 500-seat main auditorium and a 99-seat studio theater. The observation towers and the Tent of Tomorrow were abandoned. The Theaterama structure is used today as the Queens Theater in the Park. After the 1964-1965 World’s Fair ended, the city found no further use for the configuration of the New York State Pavilion. Besides the Theaterama which is now the Queens Theater in the Park, the rest of the pavilion is abandoned and in disrepair. The pavilion site was divided into three sections, and occupied nearly all of its 129,392-square-foot site, the largest amount of square feet devoted to a state sponsored exhibit.The Tent of Tomorrow, the assembly hall, was the main feature of the pavilion. It is elliptical in plan, stretching 250' x 350' and is supported by sixteen concrete pylons. The structure’s roof originally supported multicolored panels of Plexiglas that were suspended on cables attached to a steel roof rim. The floor of the Tent of Tomorrow had a Texaco map of all of New York State, which was the world’s largest terrazzo map at the time. The tent had exhibition space on the promenade and mezzanine levels, looking over the plastic map of the state. The Theaterama, the lowest structure of the pavilion site, is a 100' diameter circular theater (sometimes referred to as the “Circarama”) and was used to project 360-degree films. Surrounding the pavilion’s theater’s fa?ade, there were large art installations by famous pop artists on display. Featured artists included: Roy Lichtenstein, Alexander Liberman, Robert Indiana, James Rosenquist, John Chamberlain, Robert Mallary, Peter Agostini, Robert Rauschenberg, Ellsworth Kelly and Andy Warhol. The northernmost portion of the site features a grouping of three circular observation towers that are 90, 185, and 250' tall. Slender concrete columns support the circular, 64'-in-diameter observation platforms, as well as exterior, glass-walled elevators that allowed access to the three structures. The shortest of the three towers housed restaurants, while the other two taller pavilions had open observation decks. The two shorter towers have single-story platforms while the tallest tower has a two-story platform. The Tent of Tomorrow featured the largest suspension roof in the world at the time, measuring over 50,000 square feet. The roof, which had two outer ring girders and a central tension ring tied together with forty-eight double sets of cables, was lifted into position at the rate of six feet per day by thirty-two synchronized jacks.While the suspension roof was not a new concept at the time, the Tent of Tomorrow’s roof was an early example of this type of roof’s ability to overcome instability in high winds, something that had just recently been developed by engineers. The New York State Pavilion was also technically innovative with its use of slip-formed concrete. For Theaterama’s construction, concrete was poured around steel reinforcement and the forms, which were dimensionally 3 feet high and 12 feet in diameter, were raised at the rate of one foot per hour. As concrete was poured at the top of the form, concrete at the bottom of the form was already three hours old and set. For the observation towers, contractors used 3-foot-high slip-forms to pour the concrete and moved at a rate of about 1 foot per hour.The Fiberglas panels were installed while this process was happening. Approximately 1,500 multicolored translucent panels, attached to each other with a weathertight batten system, were used in the construction of the roof. The translucent Fiberglas panels were placed into an aluminum grid that was fabricated by Kalwall Corporation and fit over the strung cables. The New York State Pavilion was considered by Franz Schulze, author of Philip Johnson: Life and Work, as one of Philip Johnson’s “zanier” designs and considered it “unlike any other work he [Philip Johnson] did at the time.” The pavilion’s enormous concrete columns in the Tent of Tomorrow can be seen as a precursor to the type of monumentality used in Philip Johnson’s later work.The design of the pavilion was critically acclaimed. Ada Louise Huxtable, then architecture critic for the New York Times, described the pavilion as a, \"runaway success...a sophisticated frivolity...seriously and beautifully constructed. This is 'carnival' with class. ";";"Garn, Andrew. Exit to Tomorrow: World’s Fair Architecture, Design, Fashion, 1933-2005. New York: Universe Publications, 2007.Johnson, Philip. 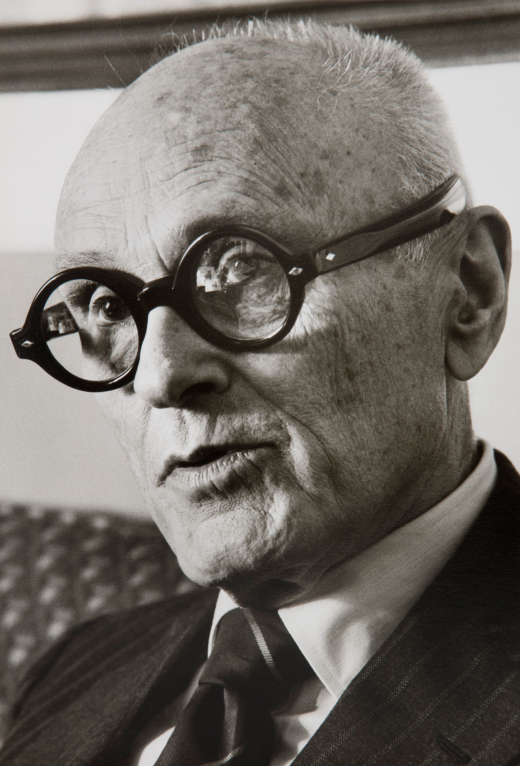 Philip Johnson: the Architect in His Own Words. New York: Rizzoli International Publications, 1994.“Moses Builds a Fair,” Architectural Forum, USA, v. 120, 1964, pp. 64-77“New York World’s Fair: the biggest building story ever told,” American Builder, USA, v. 86, 1964, whole issue.Remembering the Future: the New York World’s Fair from 1939-1964. New York: Rizzoli, 1989.Schulze, Franz. Philip Johnson: Life and Work. New York: A.A. Knopf, 1994.Stern, Robert A.M. New York 1960: Architecture and Urbanism Between the Second World War and the Bicentennial. New York: Monacelli Press, 1995.“Suspension Roof is Installed on State Pavilion at Fair,” New York Times, October 29, 1963.Wilson, Forest. Emerging Form in Architecture: Conversations With Lev Zetlin. Boston: Cahners Books, 1975.